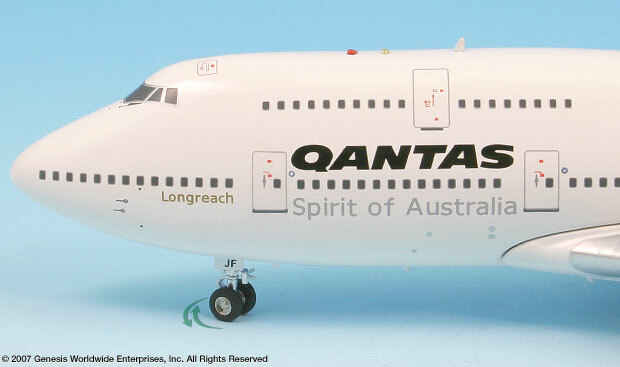 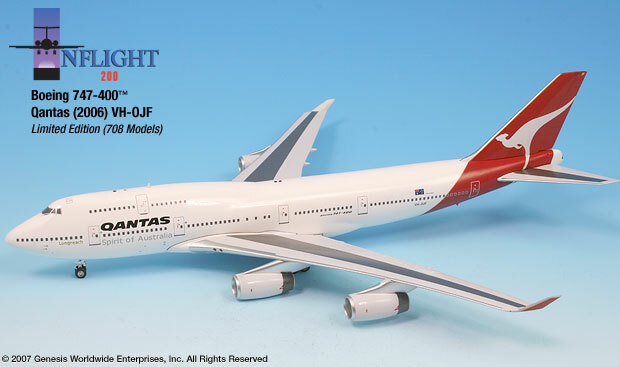 This model represents Qantas 747-400 VH-OJF "City of Perth" as it appeared in 2006 in the standard Qantas livery. 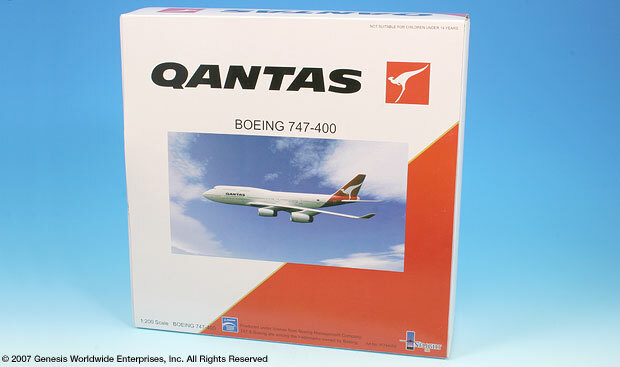 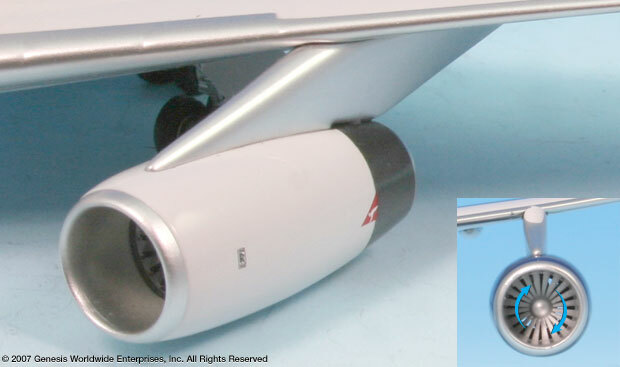 The InFlight 200 production of this model is 708 pieces worldwide, released in February 2007. 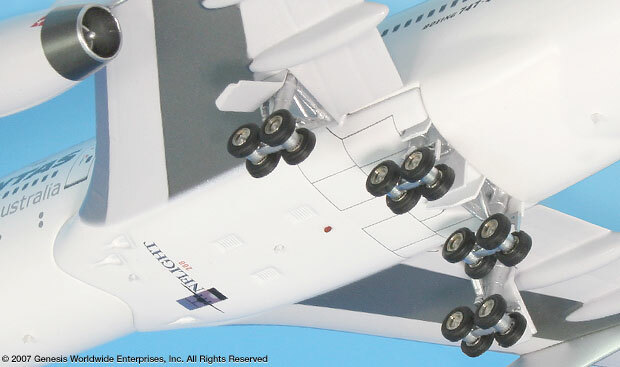 The Boeing 747—a four-engine, wide-body, long-range jetliner—set new standards for the aviation industry in 1969. 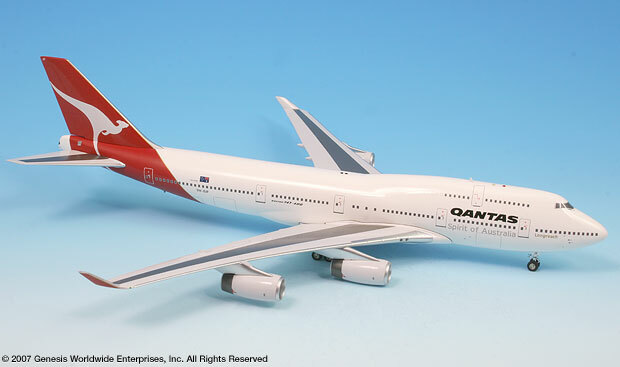 The 400 series 747, introduced in 1991, incorporates major aerodynamic improvements over earlier 747 models, including the addition of winglets to reduce drag, new avionics, a new flight deck, and the latest in-flight entertainment systems. 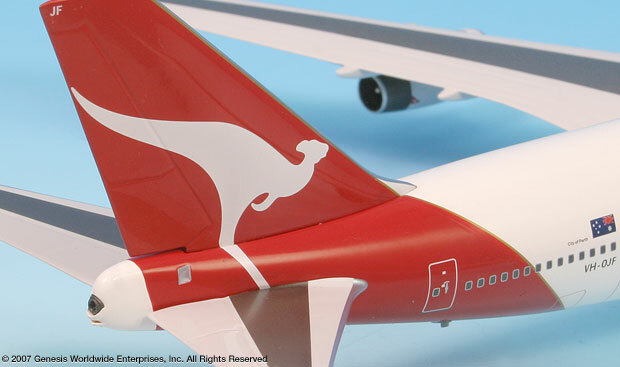 The Boeing 747-400 is currently the only 747 model in production.